Found her on the 1920 Civil District 2, Loudon, Tennessee census (dist 148 img 8) as Janette Baily age 4. Found her on the 1930 District 5, Knox, Tennessee census (dist 75 img 1) as Jeanette Baily age 14. Found him on the 1870 Starrville Beat, Smith, Texas census (img 14) as Hill Cancellor age 6. Found him on the 1880 Precinct 1, Wise, Texas census (dist 125 img 35) age 16. Found her on the 1920 Hudson, Columbia, New York census (dist 33 img 25) as Delia Fingar age 24/12. Also found her on the 1920 Canaan, Columbia, New York census (dist 5 img 2) as Delia M. Finger age 2 years 5 months, in the household of her grandparents William and Deila Bither. Found her on the 1930 Canaan, Columbia, New York census (dist 3 img 6) as Delia Fingar age 12. She and her parents are living with her mother Mabel's parents. Found her on the 1900 Jerusalem, Yates, New York census (dist 137 img 19) as Alicia Finger, age unclear. She is not listed with the family on the 1910 census, nor is she listed in her mother's obituary, 1914. Found him on the 1930 Miser Station, Blount, Tennessee census (dist 5 img 16) age 6. Found him on the 1940 'Other Places', Blount, Tennessee census (dist 5-6 img 9) as Beecher Finger, Jr. age 16. All data from Dr. Ulrich Stöhr in a letter Aug 24, 2003. "a second Christoph who fought 1814/15 against Napoleon and later left Willersdorf to an unknown aim"
His WWI draft registration shows his occupation as Laborer at Waterloo Gasoline Engine Works. His WWII draft registration shows his name as Hugo F Finger, and his address as 305 S St. Anna, Union, Ill. For 'person who will always know your address': his brother Otto Finger. He may have been married twice. There is a marriage record for a Hugo F. Finger and Caroline W. Grosse on Dec 24, 1938. Found him on the 1900 Brazeau, Perry, Missouri census (dist 72 img 36) as Hugo Finger age 14. Found him on the 1920 Waterloo Ward 2, Black Hawk, Iowa census (dist 20 img 14) as Hugo F. Finger age 33, plumbers helper, plumbing company. Found him on the 1930 Brazeau, Perry, Missouri census (dist 8 img 20) as Hugo F. Finger age 43, laborer, odd jobs. Found her on the 1940 Dawson, Phelps, Missouri census (dist 81-4 img 6) as Minnie Fanger age 6. Found him on the 1920 Bois Bruole, Perry, Missouri census (dist 60 img 18) as Rawley M. Finger age 5. Found him on the 1930 St. Louis, St. Louis, Missouri census as Rawleigh Finger age 15. His WWII enlistment record (1942) shows he's single, without dependents. Found him on the 1930 Maiden, Catawba, North Carolina census (dist 22 img 7) as Dod Finger, Jr. age 8. Found her on the 1860 (not stated) Lincoln, North Carolina census (img 11) as Ann Hinson age 9. Found her on the 1870 Union, Lincoln, North Carolina census (img 22) age 19. Found her on the 1900 White Store, Anson, North Carolina census (dist 12 img 1) as Martha D. Carpenter age 48. Found her on the 1910 Lincolnton Ward 4, Lincoln, North Carolina census (dist 72 img 6) as Nellie Honeycutt age 2 months. Found her on the 1920 Lincolnton, Lincoln, North Carolina census (dist 108 img 25) as Nellie Honeycutt age 10. Found her on the 1930 Lincolnton, Lincoln, North Carolina census (dist 14 img 4) as Nellie E. Honeycutt age 19. Ebenezer Kilmer and Abba C. Kilmer, his wife of Hudson has sold to Samuel Sutty and Ellen Sutty, his wife of the same place, land and buildings on corner of Warren street and Public square. - Chatham Courier May, 1925. Found him on the 1880 Gallatin, Columbia, New York census (dist 10 img 3) as Ebenezer Kilmer age 28, farmer. Found him on the 1920 Hudson Ward 3, Columbia, New York census (dist 30 img 18) as Ebinezer Kilmer age 68, retired prop, wholesale grocery. His divorced daughter Martha (Mattie) Kilmer (Fingar) age 44 is living in his household. Found him on the 1930 Hamden, New Haven, Connecticut census (dist 137 img 30) as Robert LaSurk age 10. 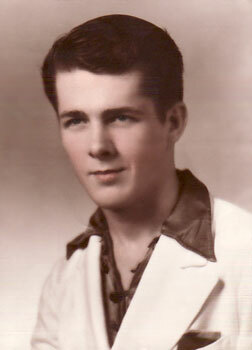 Found him on the 1940 Other Places, Dade, Florida census (dist 13-31 img 1) as Robert LaSurk age 20. Foreman, wood mill. Found her on the 1900 Riga, Lenawee, Michigan census (dist 57 img 32) as Elsey, age 15, born Jul 1884. Found her on the 1920 Weston, Wood, Ohio census (dist 179 img 23) as Elsie E. Willier age 36. Father born Ohio, mother born New York. Found her on the 1930 Fostoria, Seneca, Ohio census (dist 26 img 7) as Elsie Willier age 45. Waitress, restaurant. Father born Ohio, mother born New York. Found him on the 1920 Otsego, Allegan, Michigan census (dist 30 img 34) as Robert D. Nichols age 6 months. Found him on the 1850 Saugerties, New York census (img 67) as Alex German, age 23, born New York, boatman. Found him on the 1860 Saugerties, Ulster, New York census (img 80) as Alexander Pareis age 34, boatman. Found him on the 1880 Saugerties, New York census (dist 153 img 46) as Alex. G. Pareis age 54, boatman. Also in his household is Gertrude Underhill age 80. She is listed as "mother", but is his mother-in-law. Found her on the 1880 Clay, Onondaga, New York census (dist 166 img 10) as Pennie V. Paulk age 13. Found him on the 1940 Saugerties, Ulster, New York census (dist 56-67 img 13) as Irving Ribsamen age 30, in the household of his parents, William and Cora Ribsamen. Also his son Irving age 10, is living with him. Physical education teacher, public school. On 28 April 1941 he enlisted in the Army. The enlistment record shows 4 years of college, and divorced with dependents. Found her on the 1930 census (dist img 1) as Florence Shapiro age 8. Father born Russia, mother born Czechoslovakia. PENN YAN - Erwin Tears, 74, of RD 3, Lovejoy Road, died yesterday at his home. Friends may call from 2 to 4 and 7 to 9 p.m. Wednesday at the Weldon Funeral Home. The funeral will be at 2 p.m. Thursday at the funeral home with the Rev. Douglas Passage officiating. Burial will be in Lakeview Cemetery. Mr. Tears was the operator of Tears Market on Lovejoy Road since 1955. He was a member of the Benton Fire Department and the Cattlemen's Association. He was a former member of the Penn Yan Lodge RPOE. Surviving are his wife, Hazel; one daughter, Mrs. Maynard (June) Hall of Penn Yan; two grandchildren; three great-granddaughters; and several nieces and nephews. Memorial contributions may be made to the Benton Fire Department or the First Baptist Church of Penn Yan. Found him on the 1920 Benton, Yates, New York census (dist 174 img 17) as Erwin Tears age 12. Found him on the 1925 Benton, Yates, New York state census (AD 01 ED 02 img 6) as Erwin A. Tears age 18. Found him on the 1940 Benton, Yates, New York census (dist 62-10 img 7) as Erwin Tears age 33. Butcher, meat. Family 1 : Kenneth "Kenny" Blair FINGER Jr.